eBay Motors will look to continue its championship-leading momentum when the Dunlop MSA British Touring Car Championship speeds into Knockhill this weekend (23/24 August). Colin Turkington currently heads the standings in his West Surrey Racing-run BMW, having scored an incredible sequence of results so far in 2014. The Ulsterman – who won the title with WSR in 2009 – has already claimed six victories during the current campaign, including a phenomenal run of nine podiums in the last ten races. 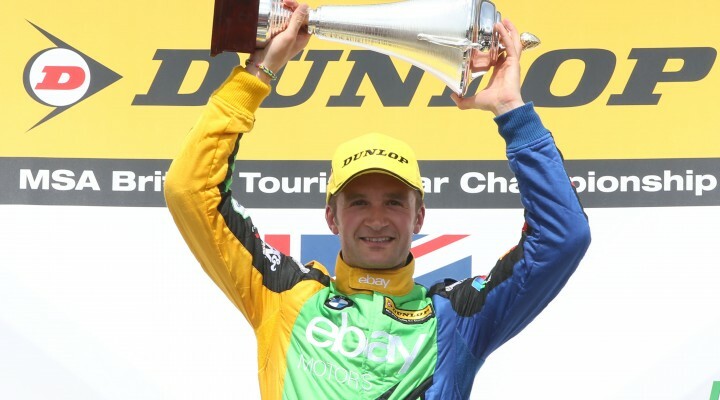 The trip to Scotland also bodes well for tin top king Turkington, as he scored two wins around the tight 1.27-mile circuit in 2013. “Knockhill is like another home race for me as it’s just a hop across the water from Ireland,” comments Colin. “It was also a happy hunting ground for eBay Motors and the BMW 125i M Sport last season – the car was fantastic and we were able to pick up two wins. We’re hoping for more of the same this weekend, which should keep us out in front in the championship standings. Turkington’s team-mates Rob Collard and Nick Foster are also enjoying a much improved 2014, helping the squad to lead both the overall teams rankings and the independent teams standings after six of ten events. But for some misfortune earlier in the season Collard could be challenging for the title himself – as it is he still lies fifth and within touching distance of the lead drivers. The experienced Foster is currently just outside the top ten of the Independent driver standings, but with the team’s BMWs continuing to show front-running pace the Hampshire-based racer will be looking to improve on a season’s best of fifth so far.